Edgemoor has some of the finest homes in Bellingham. It is located in the south of Bellingham in close proximity to Fairhaven and the South Neighborhood featuring Fairhaven Park, and it is west of Chuckanut Drive. The views from some of the homes in this area are just magnificent of the Bay and Islands. Many of the homes are on large lots with mature landscaping and feature Bellingham’s most prestigious, well-maintained homes. Clark’s Point, extends into Bellingham Bay, it is a large, steep, heavily wooded peninsula that is protected from further development with a conservation easement. 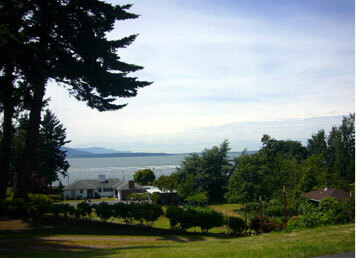 The city greenway and tidelands provide public access to Chuckanut Bay. A short trip down Chuackanut Drive will take you to Larabee State Park which has loads of hiking trails, beach, boat launch, and one of Bellingham’s closet camping areas. Fairhaven Middle School is a prominant Landmark of the neighborhood sitting on 13 acres in the nothern part of Edgemoor, The Bayside Pool is another of the neighborhood assets, It is a private pool, with membership open to all.